Giveaway time! ~10m worth of prizes. Yowza. I'll be giving away more than 10 million crowns worth of items in order to give back what I can to the community. This giveaway is currently scheduled on July 12 (Saturday) at 14:00 PDT (Time in Vancouver, Canada). If this date changes, I will let everyone know on this thread by July 8. The items will be given out via a raffle, where the entrance price is... nothing! 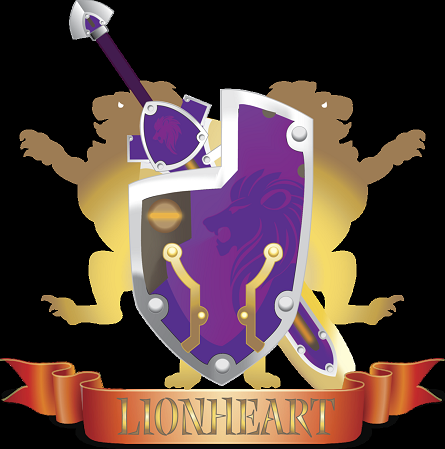 You get in free just by showing up at the Lionheart Guild Hall. Don't worry, the hall will be open to public. Having it in the guild hall just ensures that everyone knows where it'll be ahead of time, rather than risking a closed haven! I'll have everyone say a word in chat (will specify when it's time), and plug your names into my spreadsheet of raffle tickets based on the chat log. I must make this very clear - please only say the specified word once. Spammers will not be tolerated and will be removed from the draw. Alts will also not be tolerated. If you are discovered as being on multiple accounts at once, all of your accounts will be permanently banned from this giveaway and any that I hold in the future. It's pretty simple, just don't spam and don't bring your alt accounts! The items are split between 45 boxes, with their identities now concealed from even me in order to prevent rigging the prize distribution. I will record the entire event as further proof. The items range vastly in value, but I tried to keep the minimum prize value at 50k cr - if you win, you may get something simple like a white chef hat, or you may get one of the grand prizes such as a hacked aura! You may only win a maximum of one prize, and are not guaranteed to win a prize due to the limited quantity available. If you win a prize, you have to open it then and there - no saving prize boxes to open later! Lionheart guild members will be given 3 entries into the draws, while everyone else gets 2 entries. This means that you'll still have a great chance of winning even if you're not in Lionheart, but guild members get rewarded with slightly higher odds for being a part of our amazing micro-community. I'll be announcing more details over the course of the week through this forum thread, so stay tuned. Note that, because I am organizing this alone, the giveaway will likely take an hour just to set up and get everyone registered, and another hour or so to hand out prizes - Please understand this and plan your schedule accordingly, as you will not receive a prize if your name gets called but you aren't online and at the site of the giveaway! Please let me know here if you've got any questions - I'll try and get through them as best I can. TL;DR: Free raffle, Lionheart Guild Hall, July 12 at 14:00 PDT. No alt accounts allowed. We had three guild halls and one or two of them crashed, but Noxi eventually managed to post the numbers in the sk forums. No amount of staring at these numbers is gonna make yours appear on the list. Thank you to Noxi for being such an awesome guild mate and generous member of the community. Re: Giveaway time! ~10m worth of prizes. Yowza. Was a shame with all the crashing and everything. Crashed a bunch of Havens in the process.